Every year the Mid-Atlantic Collegiate Jazz Orchestra hosts a competition for young aspiring artists to receive the chance to perform in a premier collegiate jazz orchestra. This year, the jazz orchestra will be led by Ted Nash, the lead woodwind player of the Jazz at Lincoln Center Orchestra. 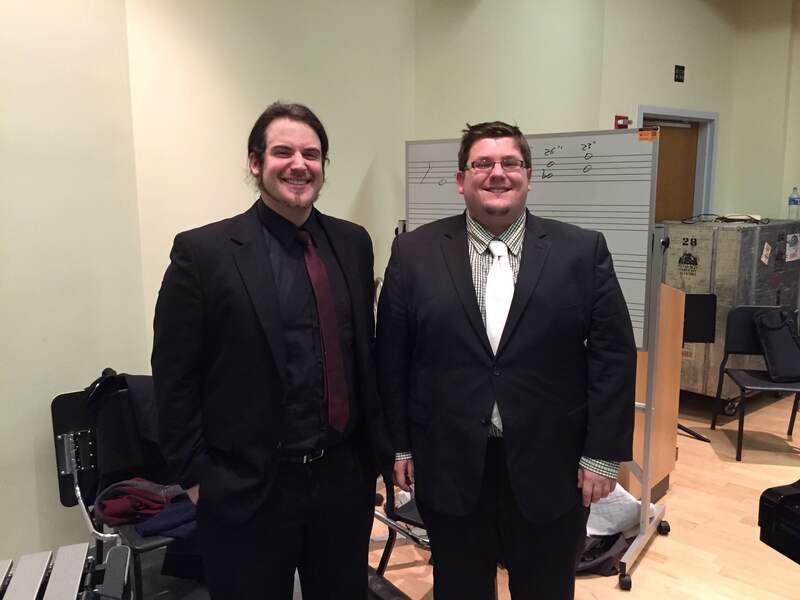 This past October, two of Duquesne's students placed in first and second. This year's first place winner was Ben Brosche, a graduate student in the music technology program, and Lucas Bowman, a senior piano performance placed second. In order to receive an invitation to audition to be in the group, a student must be nominated by their university teacher. Both students were recommended by their jazz piano teacher, Ron Bickel. The audition process involves sending in a video recording, upon which winners would be chosen. Many students from all across the Mid-Atlantic region participated in the audition. Around Halloween, Brosche and Bowman learned that they had received the top two positions. First place winner, Ben Brosche was "definitely excited about the opportunity, since the first venue was at Dizzy's Club Coca Cola in New York City." The first concerts were performed there on January 3rd and 4th. He will also perform two more concerts on April 8th and 9th at the "Weekend of Jazz" in Downtown Cumberland, MD. Second place winner Lucas Bowman received the "alternate" position and will play with the orchestra should Ben become unavailable.